Topic: Centennial Valley ranch histories. Crouse, Roberta Z. [Centennial, Wyo.? : Roberta Z. Crouse?, 1989]; Centennial, Wyoming, 1876-1996. Newly rev. and expanded ed. Crouse, Roberta Z. Centennial, Wyo. 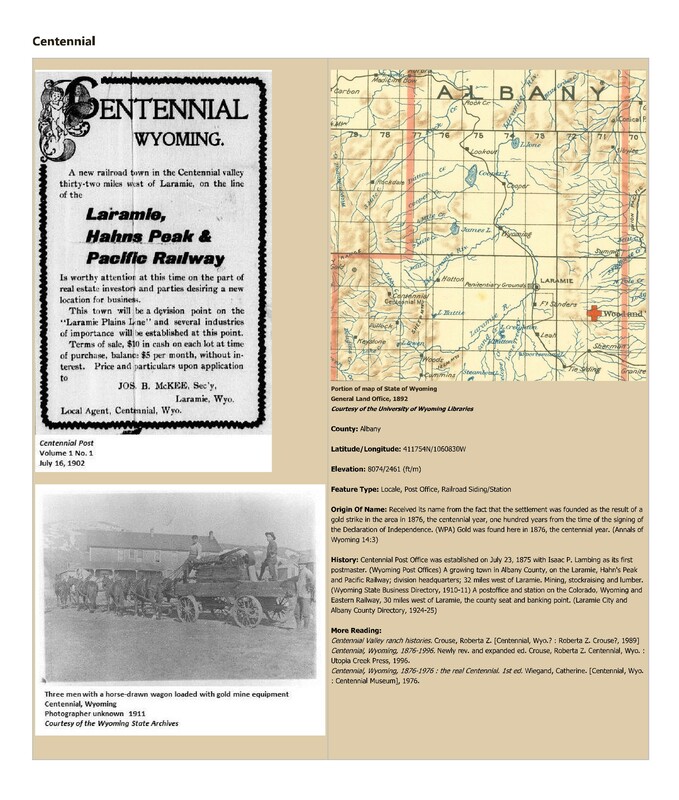 : Utopia Creek Press, 1996.; Centennial, Wyoming, 1876-1976 : the real Centennial. 1st ed. Wiegand, Catherine. [Centennial, Wyo. : Centennial Museum], 1976.